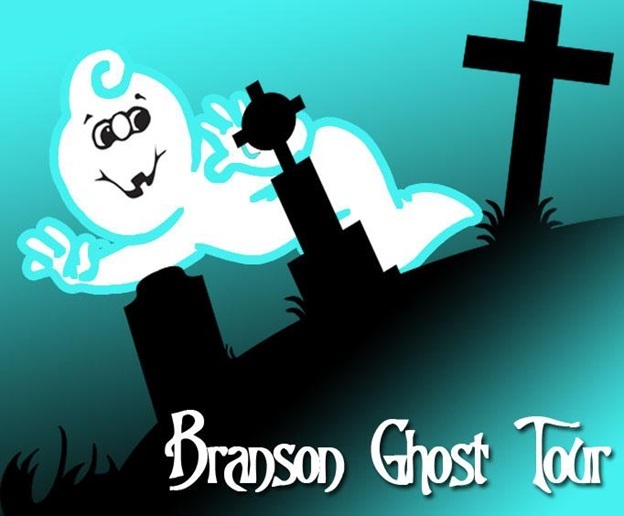 Branson Ghost Tour is a 90 minute walking tour in historic Branson where you feel the spooky ambiance as you walk through the dark streets and alley ways. The Ghost Tours will let you know the mystery, local history, paranormal and stories of the past as you are led through the dark streets each night. As you take the tour, you may experience something strange, a cold chill, it might be a tap on the shoulder, or you may “catch” the spirits on your own camera. Branson Ghost Tour is owned and operated by two ladies who have been guiding visitors in the area for years. The two are excited about entering their 9th year of business. Branson Ghost Tour takes you to some interesting and historical sights in historic downtown Branson. Your guide will point out significant places as you stroll through the areas rich in mystery, history, and legend. The tour includes a visit to the old downtown cemetery where the city’s founder, Rueben Branson is buried. You will get to l earn about the fire that burned nearly all of the downtown after the city was incorporated in 1912. The tour includes a stroll to the sight of a 1930 shootout that resulted to the death of dozen of law officers from around the country in search of the Fleagle Gang, who had been posing as chicken farmers in the area. During the tour, you may learn the legend of the ghost that haunts the Historic Owens Theatre. You may also see some spooky stuff and experience strange things. So keep your eyes and ears open as you wander through the past. When you choose Branson Ghost Tour for a spooky tour of downtown Branson, you’ll get to experience something strange because spirits and ghosts can be unpredictable which means you can feel something different and unique every single time. So don’t forget to bring with you camera to take amazing pictures of not only the spectacular city architectures but also spirits that haunt the area. The pictures that you have taken can be a good treasure and will give you memories for a lifetime, especially if you catch any ghost. Whether or not you experience any paranormal activity, you’ll surely have fun with the Ghost Tour in Branson. The amazing guides of Branson Ghost Tour are experienced tour guides that you don’t have to worry about anything in all areas covered by the tour. The guides will do everything to help you feel comfortable, especially if you feel there are ghosts bothering you around. Although Branson Ghost Tour can get spooky, the guides will never leave you unattended or put you in danger. The guides have their goals to ensure that all visitors will have a great time and that they finish the tour knowing amazing things and bringing memorable experience. On your next trip to Branson, don’t miss to take a Ghost Tour where you will can have a spooky experience with the ghosts.